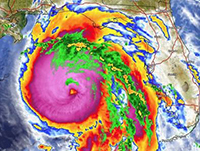 The Florida Bar Foundation has updated our Civil Legal Storm Aid Response page. 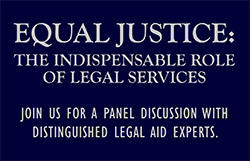 Donate to the Florida Hurricane Legal Aid Fund. To volunteer for The Florida Bar YLD’s disaster relief hotline, you must complete the form and have a basic understanding of common problems experienced by disaster victims. Visit the YLD’s FEMA page for more information. Just as we work to recover from Hurricane Michael, North Carolinians are also recovering from a devastating storm just weeks earlier. To help with hurricane recovery efforts in North Carolina, visit the North Carolina Bar Association’s disaster legal assistance page. A recent order of the North Carolina Supreme Court permits out-of-state lawyers to temporarily provide pro bono legal services to low- and moderate-income residents affected by Hurricane Florence. Forms can be filled out here.